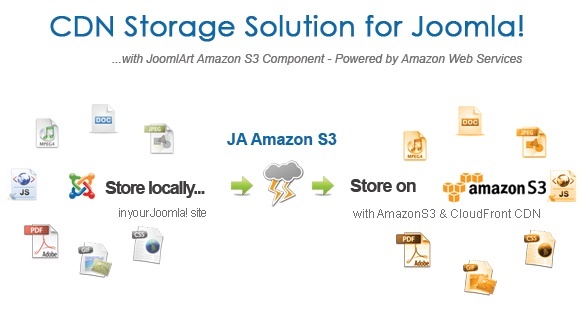 JA Amazon S3 Component brings the power of cloud computing to Joomla! Hybrid hosting is now possible, load site from your server and files (images/ documents) from Amazon CDN (Content Delivery Network). 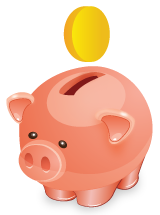 Install, upload files and enjoy the benefits of Amazon Simple Storage Service (S3) cloud hosting! It works on a simple principle of file uploading and updating their location path on the fly. Once you upload your images / files from the selected folder to the Amazon S3 Servers, the plugin updates the location path of uploaded files and on client request, all uploaded files are requested from Amazon S3 and not from the site folders. This in turns save the server load and bandwidth at the same time. Loading is faster for the end-user. You can disable the plugin and your file links are back to normal.